Like many organizations at Lesley, the athletic teams often find themselves needing to raise some extra money. 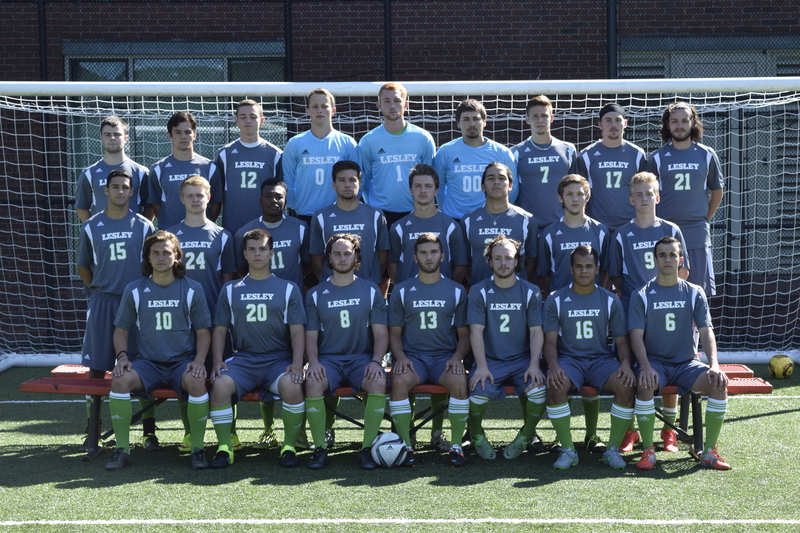 This year, the Men’s Soccer team decided to do something creative to fundraise. The team’s most recent collaboration, under the leadership of captain Spencer Irwin, has resulted in the development of a team calendar. Each month features a snapshot of various players on the team, each with a unique theme or pose. When asked about the creative process Irwin explained, “As far as fundraising with calendars, it seemed like a fun idea that people would actually enjoy having, especially families and friends. There had always been talk of [doing] it, but no one ever took any steps to make it happen.” But now, the calendar is a reality, and it was a lot of fun producing it. The process of creating and producing a calendar not only helped with the men’s soccer team’s fundraising goals, but it also proved to be a great team-building exercise. Members of the team showed up at BB&N on a Sunday afternoon, eager to participate in the activity. Many of the photos caused fits of laughter, due to some of the hilarious ideas for poses. Sometimes it was difficult to keep a straight face with teammates distracting the models from behind the camera. Spencer Crispino (’15) was the photographer, and it is his pictures you will see on the calendar. The photos demonstrate the bond among members of the Lesley University community, both past and present. So, if you find yourself in need of a calendar, look no further than the Men’s Soccer Team. Make your May amazing by looking at a picture of Chase Donley every day! Or, jam up your July with a photo of the sophomore class! If you are interested in purchasing this unique calendar (and the team hopes you are), please contact any of the three team captains. (Their emails are at the end of this article.) A donation of between $10-20 would be a great help. And as mentioned, all proceeds from the sale of the calendars will go to the annual team fund. 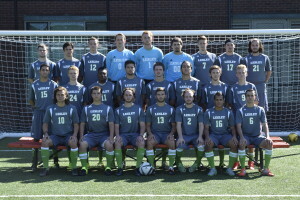 The men’s soccer team appreciates everyone’s support, and let’s go Lynx!